This yeast is all about the malt! It is the choice for fermenting Scottish-style ales that are low in fruity esters and really big on malt flavor. Produces a slight smokiness. It's also good in rich, dark ales, like Oatmeal Stout. We have also had some customers make some good Barleywines with this strain. Does not ferment well under 62F. I want that Scottish ale profile when I brew my Scotstoberfest. BEST ANSWER: Generally, when the beer is expected to be at or over 6% ABV, it's best to use at least 2 packets of yeast or make a yeast starter. Will not hesitate to use this again, I won peoples choice award at the Quincy, IL Oktoberfest festival with my Smoked Wee Heavy. 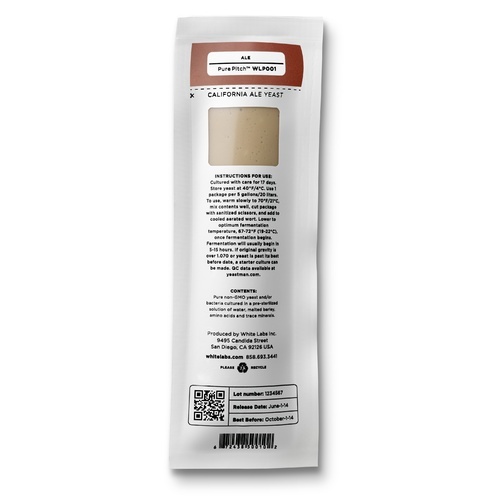 I've used this White Labs Edinburgh yeast several times and am always happy with the results. I brew mostly very low gravity beer and I'm always happy with the yeasts' performance. This strain makes a great Scotch Ale. I would recommend White Labs over others. Looking forward to the new packaging from them. Also shipped with ice pack so it arrived fresh and ready to go. White Labs is the best. Yeast arrived fresh and is already rocking it in the fermentor. This is a robust and mellow yeast that withstands abuse but really pays off with a mild smooth flavor. I used this yeast in a RIS and turned out great. I was looking for the yeast to impart some good esters, and this one delivered. 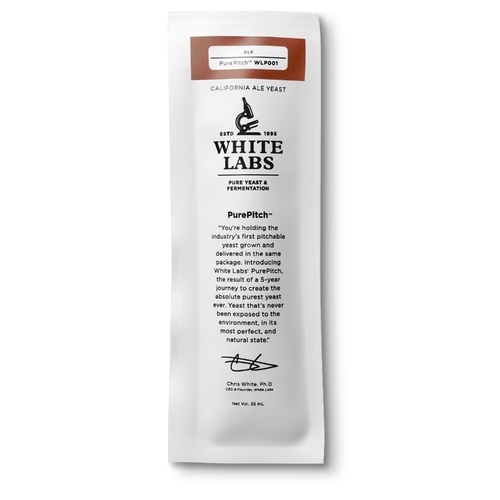 White Labs has never let me down. Each and every one of their yeasts (and I have tried most by now) has performed exceptionally well and to their specifications. Highly recommended in red ale. Much better flavor than the dry equivalent. I've bought this yeast several times and it works great on scotch ales and also IPAs because it doesn't mute the hops.